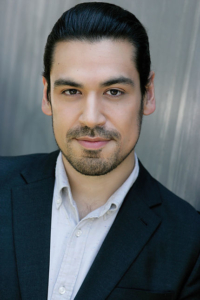 Former resident artist with the Minnesota Opera, Richard Ollarsaba returns to the Twin Cities in the role of Figaro. A native of Tempe, Arizona, Ollarsaba has graced Twin Cities stages outside of the operatic realm, as well, appearing regularly in concert and recital. Audiences might recognize him from his appearance as the bass soloist in Handel’s Messiah with the St. Paul Chamber Orchestra. As a former resident artist with the Minnesota Opera, what’s it like coming back to the company to perform as Figaro? Richard Ollarsaba: I was a resident artist with Minnesota Opera five years ago. Even though my time with the company was rather short, I feel like I developed a serious sense of family with the company, as well as with the community that supports Minnesota Opera. Since leaving the Resident Artist Program, I’ve been engaged with the company once before in their 2015 production of Carmen. However, returning to Minnesota Opera in a titular role gives me a real sense of a homecoming. I feel like I’m able to take everything I’ve learned and gathered since leaving and apply it to the art form I love so much at a place I love. This opera is easily one of the most well-known appearing on countless Top 10 lists. What do you say to people who are on the fence about attending because they think they know what to expect? RO: Figaro is one of the most well-known and most often performed operas around the world, and many frequent operagoers have come across it many times. All that said, whether you’ve seen Figaro once or a dozen times, it’s always worth another viewing for the same reasons you settle in for The Princess Bride [or insert your favorite film here] over and over again: even though you know what’s coming it still makes you want to cry, and even though you know the punchlines to all the jokes it always makes you laugh. Minnesota Opera has made a name for itself by updating classic operas with unique modern twists. What are you excited for audiences to see with this performance of The Marriage of Figaro? RO: This particular production of Figaro is rather close to the style and period in which it was conceived (aka the 18th century). However, what I feel our production reveals is how universal the human condition is despite how modern our views are today. Romantic relationships are complicated, so are work relationships, especially when your womanizer of a boss is hitting on your soon-to-be wife. So you team up with her and his wife to teach him a lesson only to find out his wife and your “wife” are hatching plots of their own. See … totally relevant to today’s audiences, just like an episode of Keeping Up With The Kardashians. The Marriage of Figaro is described as being “widely considered the perfect opera.” Why do you think that is? What does that mean to you? RO: Well, my mom would say that about any opera I’m in! Just kidding. But, in all seriousness, I see why that would be the case by many. This piece has stood the test of time for over 200 years for its progressive social themes and advanced musical construction which were regarded as revolutionary at the time. I feel the themes, though penned near the end of the 18th century, are just as relevant then as they are today. You said in an early interview while you were still a student that you weren’t sure if singing opera was how you were going to support yourself and now here you are! Looking back on your career, what would you say were some of the best lessons you’ve learned? RO: When I decided classical singing was going to fulfill my passion and ambitions, my exposure and knowledge of opera was so little. I was unsure if I would take to opera. Looking back, I have been singing opera virtually every day since I was 18 years old and can safely say my living is made through performing. The biggest lesson I learned along the way was preparation. I realized that as long as I studied, practiced, and became consistent in my routines, performing was never a stressful or angst-ridden affair. I know how it sounds; it’s not as easy or as simple as that. But if it wasn’t for preparation, I wouldn’t have been able to perform a title role at one of the biggest opera companies in the country on a couple hours’ notice, let alone sing Figaro here in the Twin Cities. 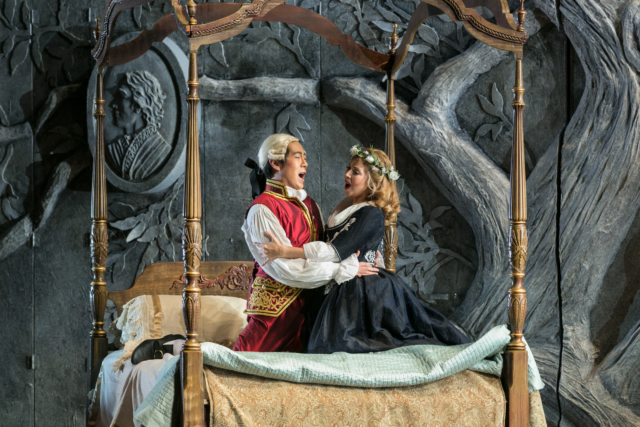 The Marriage of Figaro runs at the Ordway Center for Performing Arts Nov. 11–19. For more information and to purchase tickets, head to www.mnopera.org.